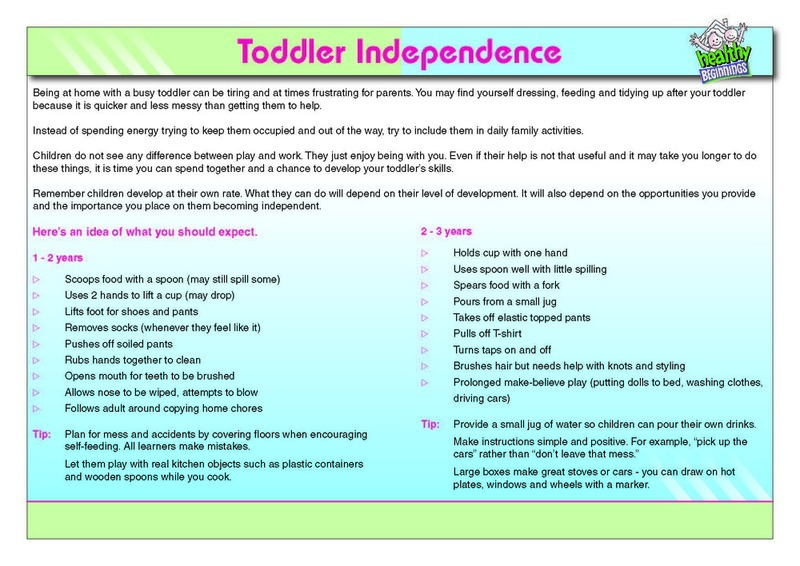 22 month mail-out "Toddler Independence"
What is your child drinking? Encourage water as the main drink – soft drinks and fruit juice are not recommended. Toddler playtime: Discuss the importance of sharing fun times together with their child to learn about who they are in the world, to develop knowledge, and build love and trust. Physical activity: Discuss benefits of physical activity and setting and achieving goals. Nutrition for adults: Discuss the importance of preparing healthy meals and snacks. Social support: Discuss program and future support with a toddler.